Able Muse Press, 9781773490144, 78pp. Poetry. Finalist for the 2017 Able Muse Book Award. 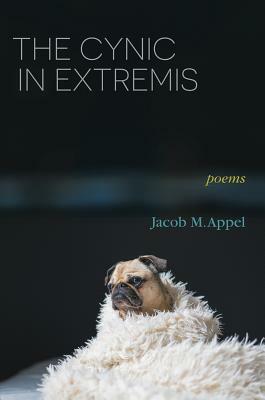 Eclectic characters in everyday scenarios populate Jacob M. Appel's THE CYNIC IN EXTREMIS. We attend a sister's second wedding with a "hand-me-down groom"; trick-or-treat with a young son; encounter a former teacher long retired, still critical; relive difficult ancestral memories of the Holocaust. Full of fun, wit and insight, these poems present--often unapologetically--uncomfortable truths gleaned from close examination of social norms and conventions mostly taken for granted. "Both beautifully written and lively, the poems in THE CYNIC IN EXTREMIS embrace the world with warmth and wit. The portraits of family members and friends, workers and teachers, neighbors and a first love, some set in a time long gone, are wonderfully free of nostalgia and sentimentality. Human virtue, vice and folly all have a welcome place, because there's a tone of understanding, forgiveness and humor that pervades this book and makes it a joy to read." --John Skoyles.